If occupants in a particular part of the building begin complaining about the air being stuffy, smelling odd, or other issues with the air quality, it’s likely a sign that maintenance is needed on one or more of the air ducts into that area. If the air quality issue is affecting most or all of the building, the problem is more likely in the mechanical equipment itself. In all these cases, well-planned routine maintenance can usually catch these issues before they escalate enough to harm air quality. A comprehensive planned maintenance program includes periodic visual inspections of the ventilation ducts and machinery, and diagnostic tests to determine if any parts need to be repaired or replaced to prevent future issues. Less often, the sounds are coming from the heating or cooling units themselves. If the unit is accessible, get up close to it and try to determine if the sounds are louder near the unit, and if they correspond to what is being heard elsewhere in the building. In both cases - whether the noises are coming from the vents or from the heating or cooling units - isolating and resolving the issue will often require expertise and equipment not available in-house. In this case, contact your local, trusted commercial HVAC company to have an experienced technician assist with the problem. Sometimes, a problem appears on paper before you notice anything is wrong. The system may still be maintaining a comfortable temperature and good air quality throughout the building, but you notice that your monthly energy usage is rising with no simple explanation. All of these issues require different solutions, and the most effective option is to have a trained technician come in to perform an operational assessment and a thorough inspection to properly identify the root cause(s). A great option is to install a building automation and analytics system to control and monitor your HVAC via electronic sensors. 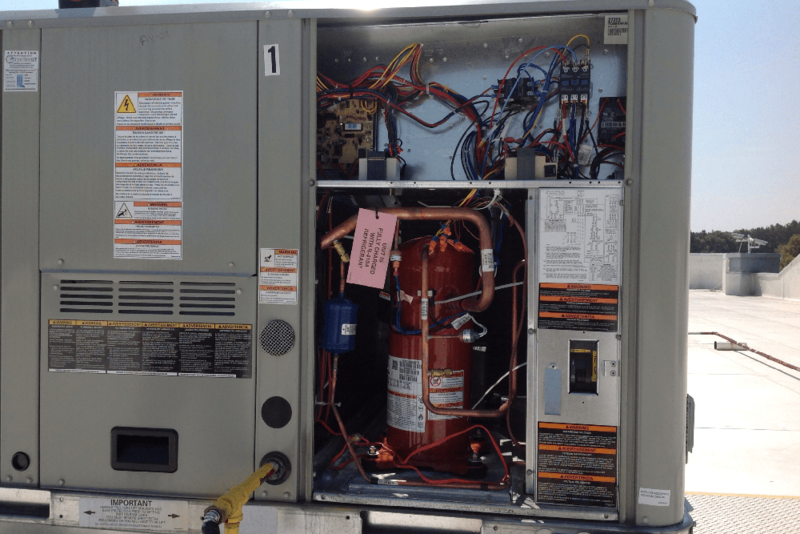 Some modern HVAC systems can incorporate machine learning and artificial intelligence to continually optimize the system to make sure it’s running as efficiently as possible and that you are aware of any issues as early as possible. Of course, building automation and analytics can be a big step and a sizable investment, so it’s important to consider your current HVAC system’s health and lifespan first. 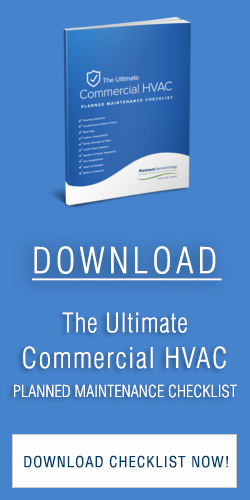 At Piedmont Service Group, our experienced commercial HVAC technicians and energy engineers are here to answer your questions and discuss your options for resolving common problems with your commercial building’s heating and cooling systems.